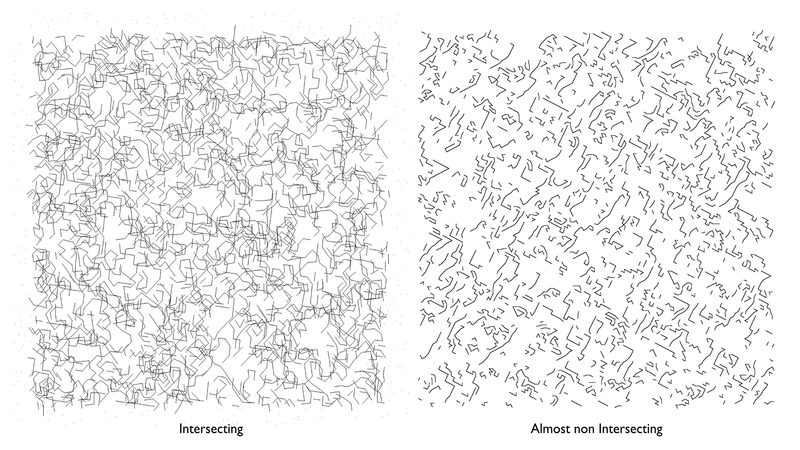 I started this art project in 2004, with a clear vision of [lines that never meet, filaments, glyphs, quantum foam, maze packing, linelets, glyphlets, squiglets, and finally stringlets]. Differentiated elements self assembling, covering the plane, but never touching or intersecting each other. At times I saw ecology [habitats, species], or people [invasions, colonisations, migrations, roadmaps for peace, mazes], or bacteria [infections, resistances], and then it appeared in 2016 that the model evokes the physics of polymer strands unfolding [for instance in the case of new solar photo-voltaic material research]. The art is rendered in panels up to 8 x 4ft. 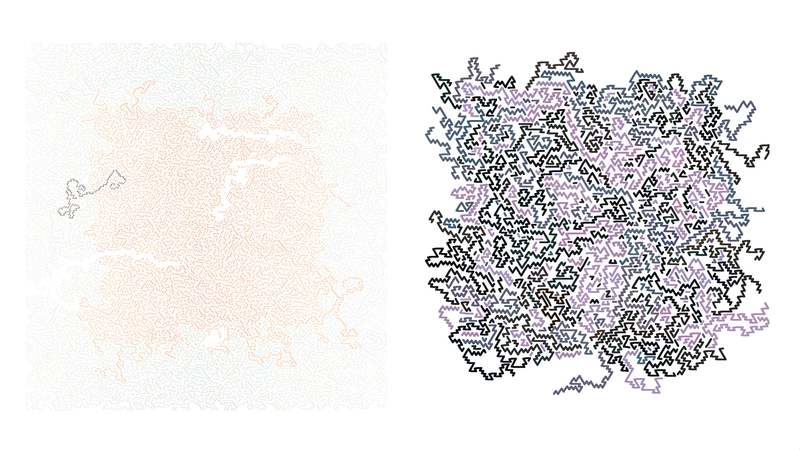 with 2.5 millions stringlets, or displayed as simple, short animations. (Works currently exhibited in the Art | Sci Center: “Quantum Metaphors” at the UCLA California NanoSystems Institute).